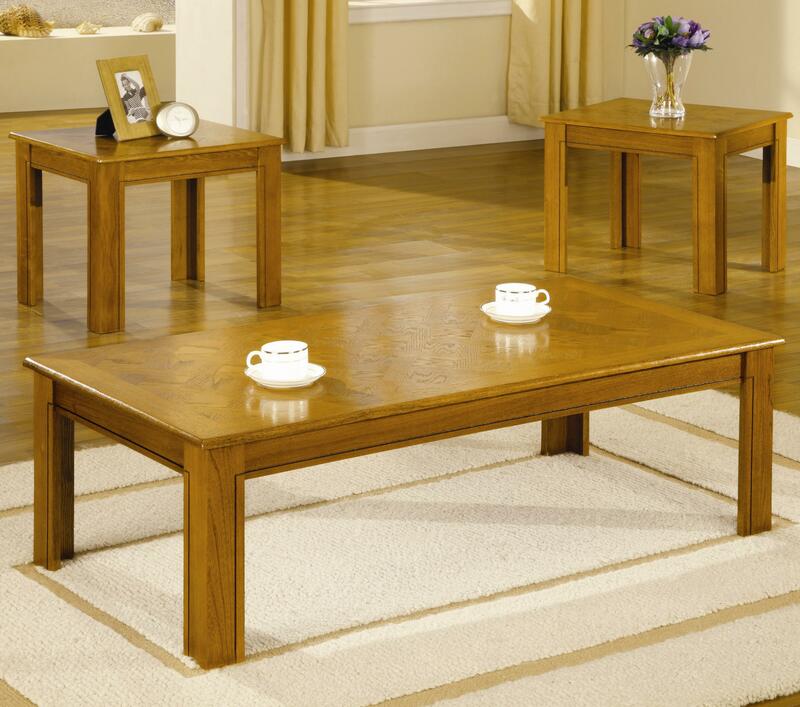 A classic parquet top adds traditional appeal to this three piece occasional table set. Sturdy legs with line detail anchor the bases of this rectangular coffee table and matching end table collection. Lines on the legs continue on the table aprons and reinforce the simple design of each piece. Oak veneers are washed in a golden oak finish that highlights the unique parquet surface of each table. Group with your existing living room decor, top with a lamp and a few decorative accents and enjoy a stylish living room steeped in tradition. The Occasional Table Sets 3 Piece Parquet Top Occasional Table Set by Coaster at Corner Furniture in the Bronx, Yonkers, Mount Vernon, White Plains, Manhattan, NYC, New York area. Product availability may vary. Contact us for the most current availability on this product.